Are you looking for the best topsoil Winchester has to offer? When it comes to creating a beautiful garden to enjoy in the spring and summer, keen gardeners will understand that there’s more to it than simply purchasing a packet of seeds and spreading them on your flowerbed. To create blooming borders, you need quality topsoil in Winchester, so get in touch with Abbey Turf today. By investing in Winchester topsoil, you’re providing your garden with the best conditions in which to flourish, but with a culmination of different soil consistencies within the Winchester area, it’s hard to choose which kind of topsoil will benefit your garden the most. If your soil is already rich in any of the above elements, it may not benefit the plant matter to add even more. As part of our landscaping service, we can analyse your soil to find out which one of our topsoil Winchester collection is best. At Abbey Turf, we supply three different types of topsoil in Winchester. You can choose from premium quality, general-purpose and economy grade. 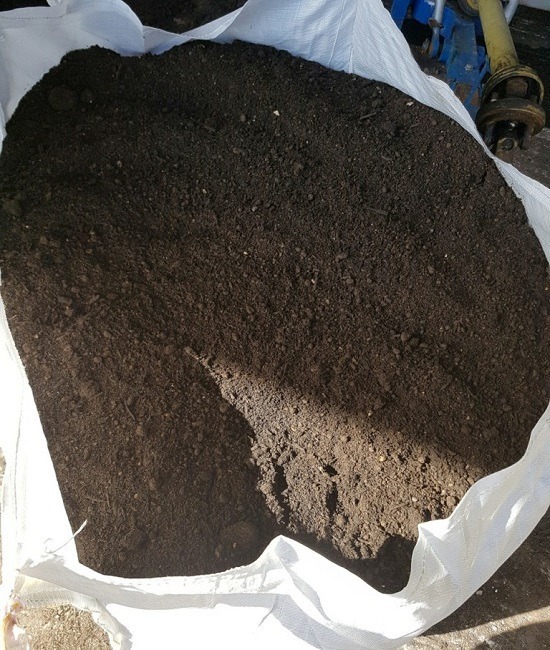 The type of grade that you will need will depend on what purpose you require the Winchester topsoil for, in addition to the current condition of your garden. All the topsoil products in Winchester that we supply has been expertly screened to produce the very best consistency. Screening also eradicates any traces of weeds or plant matter that may affect the health of your garden. We deliver our topsoil in large bags, and we recommend that one bag will cover 30 square yards up to an inch deep. When you call up Abbey Turf to request our topsoil Winchester, we’ll be more than happy to provide honest advice based on the two factors mentioned above. 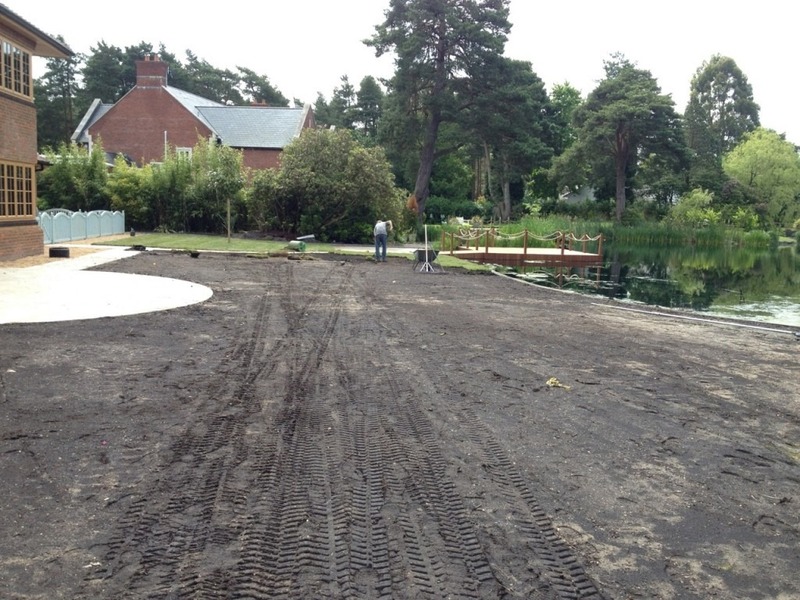 While we have a complete landscaping service which can take care of both choosing and laying the correct type of topsoil in Winchester, we’re also more than happy to advise you on the accurate methods of application so that you experience the best results yourself. Why do I need topsoil for my garden? As the topsoil breaks down and filters through the different layers in your soil, it improves the conditions throughout, in-turn, bettering the overall health of your lawn and plants, while reducing the need to use fertiliser. If your lawn has been plagued by moles and rabbits, before reseeding, it will benefit to apply a layer of Winchester topsoil to the affected area, which will both level out your lawn and provide the best nutrients for your lawn to thrive. Animal activity, in addition to plant growth, can also cause your topsoil to erode away, leaving only bad quality soil in which plants struggle to stay healthy. It benefits your garden to routinely apply Winchester topsoil, which will help to keep your outside space in the best possible condition. People often find, especially if they have a vegetable patch in their garden, that the soil in that area can become deficient of a specific nutrient (this is largely why farmers tend to rotate their crops). If you’re looking to grow a plant that needs an increased density of a certain element, our topsoil Winchester will help to provide the perfect conditions. With a healthy amount of nutrients in the soil, you are providing your plants with the best conditions in which to thrive. When you invest in topsoil in Winchester, the benefits will present themselves when plants transform from weak and spindly to strong and blooming. If the soil in your garden is particularly rocky, adding our topsoil in Winchester can be a great way to redistribute and break-up the rocky chunks to provide the best growing conditions. While there are a limited number of plants that thrive in rocky soil, by adding our topsoil, you can really make them flourish. Why should you choose Abbey Turf as you supplier? We create and filter our own Winchester topsoil, which means we can control what we put in and what we take out. With this in mind, we know that we are supplying our customers with the best topsoil deliveries Winchester has seen. All of our topsoil is produced with the utmost care and is fully compliant with British Standards. As such, we are a trusted supplier to local authorities and landscape gardeners in the area. We have been supplying topsoil in Winchester for over 20 years and in that time, we have become one of the most recognised names for providing the very best quality. Because we use all of our products for our own landscaping services, you can be doubly certain that you’re only receiving the very best. Have you been introduced to the benefits of mulch? We are the number one supplier of mulch, which usually consists of a mixture of broken down bark and wood chippings. Used with our topsoil Winchester, mulch can provide the best conditions for your garden, as it helps to encourage better drainage and stops weeds from sprouting within the surface layer. We also grow quality turf; so if your grass is in poor condition and needs relaying, invest in our expertly grown turf to give your garden’s appearance the boost it needs. Take a look at our online gallery to discover the amazing results that our products and services achieve. If you’re looking for the best topsoil Winchester has to offer or any of our services mentioned, contact our team today.